Now into the last few days of Autumn 2018 we are worrying and wondering about what lies ahead on many fronts. This past spring & summer have been our slowest for rehoming animals ever, whether that was due to the winter weather stretching to April or the summer drought or just because we do not have the type of animals that people are looking for we do not know. Those of you that know us will be aware that we are never in a hurry to rush animals out and they stay with us until a home is found but the downside to the low rehoming numbers is that we are more restricted for those who will need our help this winter. 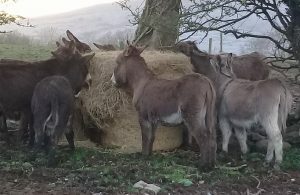 Whilst our slow rehoming is a concern it is not our main worry as yet again we find ourselves using the term “fodder crisis”. Our first introduction to a fodder crisis was in 2013 when we found ourselves ringing marts and co-ops waiting for hay from France, etc and driving for almost 3 hours on one occasion just to buy 6 big bales. Last winter the fodder crisis lead to increased prices from the beginning of October 2017 which saw our normal delivery go from €1,100 for 38 bales to €1,550, as you can see in our accounts our total spend on hay in 2017 was €9,325. This winter is going to be even more difficult because not only is the amount of fodder in the country low but the prices have already exceeded last years highest prices. Hay is obviously our biggest expense annually which is why we run an annual hay appeal prize draw as our main fundraiser of the year. This year we will have to try to beat all previous targets in order to raise as much as possible and so the search is on for prizes for this year’s prize draw. We are aiming to have tickets ready for selling before Halloween so even if you cannot donate a prize for the draw then please do consider helping us sell the tickets or failing that buy some for yourself. As Louise, our chief fundraiser, says “We cannot do what we do without people like you”. 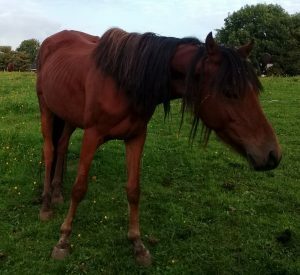 The other area we are always happy to get offers of help with is handling/starting our equines as this makes it easier for them to get homes. 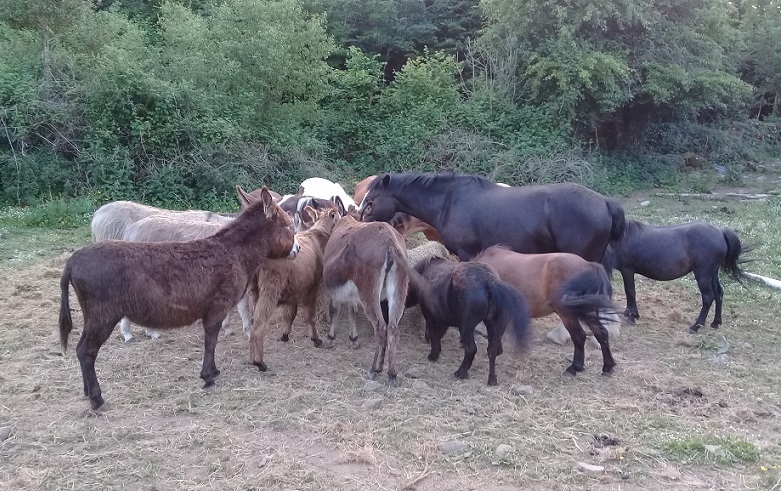 As you can imagine there are not many spare hours available to us for handling work nor do we have the most ideal facilities so if this is something you or someone you know could offer to the equines at the rescue we would love to hear from you.